Don't Think About It - I love my new new Alpina 2 glider. It seems connected to my mind, going wherever I think it should. As it shifts around, negotiating pot-holes of the sky, it allows me to just sit back and focus on the big picture ..so much so that I sometimes see it in my periphery and get freaked out! Mostly, I don't event think about it. 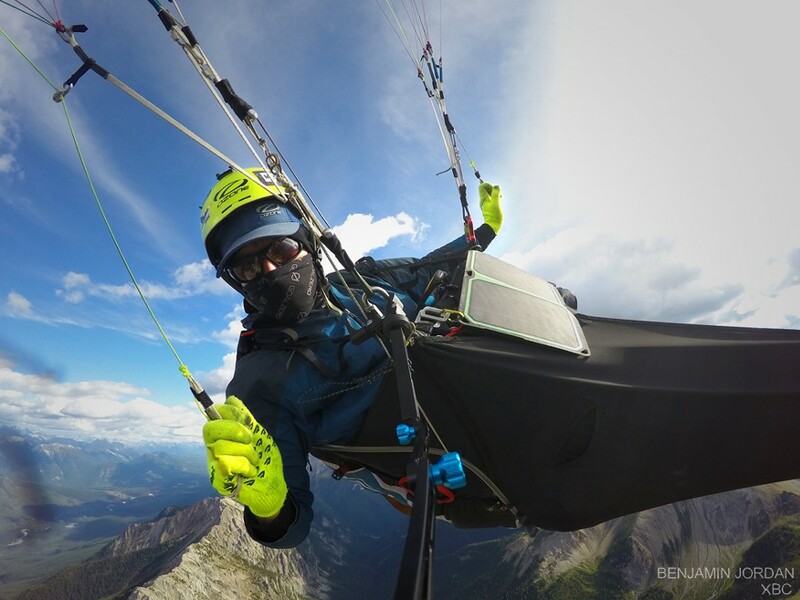 September 7, 2016 - Calgary, AB - Paragliding over the entire span of Canada's Southwestern Mountain ranges, this summer, Canadian Paraglider Pilot and Filmmaker, Benjamin Jordan, discovered that "Impossible" was just a code word for "Fun!" From Pacific to Prairie, the 35-yearold filmmaker bounced from glacial peak to high desert to rocky mountains, landing high when possible and near villages to re-stock supplies when needed. Solo and un-supported, Jordan took his time, walking only when necessary, spending time on summits for up to one week for the temperamental Canadian weather to allow him another chance to make his life goal, a reality. 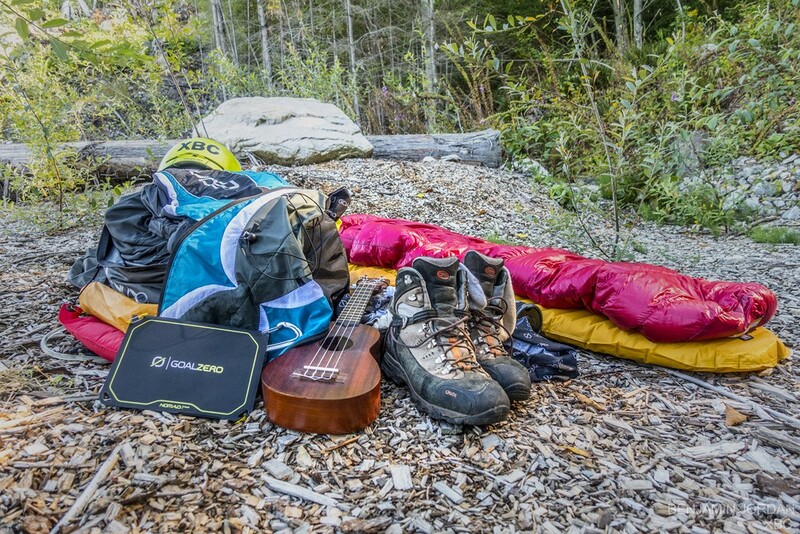 Though often in solitude, hikers would occasionally find the pilot playing ukulele, waiting out stability or strong winds, and ask how many days had passed or how much distance he'd covered. "They thought I was being an a**hole" he said "because I had no clue. But it didn't matter to me, and, if I was looking at those numbers I probably would have gone crazy!" In the end it took him 39 days to cover 1000 km, much of which had not previously been flown. The first 100 km of the journey was made on foot as Jordan marched away from the stabilizing effects of the Pacific sea breeze. Once nestled in the mountains, things came together and, despite having to wait patiently for good weather windows, a mere 75 km had to be walked between the first and last cross-country flights of the journey, some spanning up to 140 km of uncivilized, un-landable terrain, shattering Jordan's expectations of both flying in Canada, and himself as a pilot. When asked if this was a record, he said "Perhaps it will be one day, but first someone else needs to be crazy enough to give us something to compare it to." For now, Jordan's goal is to share what he's learnt about the land, the air and himself through photos, stories and eventually a film which will premiere at the Vancouver International Film Festival in February of 2017. Adventuring into the heart of Africa, a paraglider instigates a young man's potentially deadly quest to release the weight of poverty, social taboos and self doubt, and take to the skies. In doing so, the traveler is confronted with unsettling truths about his own racial and cultural identity. In a country where no one flies, two friends can inspire a nation by putting everything on the line. 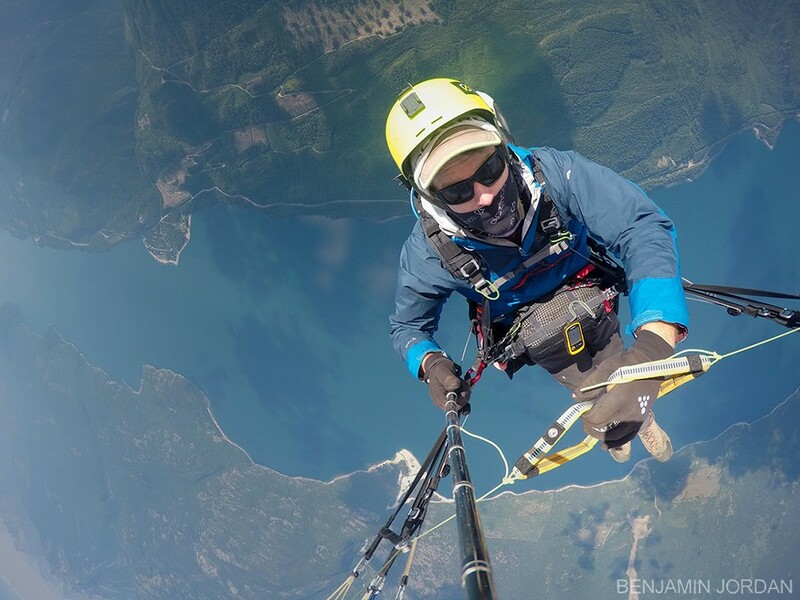 Fly along as Benjamin Jordan sets a new World Distance Record (10,000 km) as he crosses Canada by Powered Paraglider. Along the way, you will land at summer camps and inspire thousands of children, while raising funds to send less fortunate ones to summer camp next year! The 71 minute, Documentary Feature contains 15 chapters chronicling the epic successes and failures of this unprecedented journey. Each chapter focuses on a unique aspect of Canadian geography, culture and the exact mix of team-work and blind optimism required to pull off such a daring stunt. Since it's release in 2010, A Canadian Dream (formerly "DREAM") has screened in theatres world-wide and, through it's proceeds, has allowed almost 100 children, from low-income homes, the opportunity to attend summer camp.